16:45 Matabeleland South provincial chairperson, Choeni gives vote of thanks and thanks President Mugabe for making it to the province. 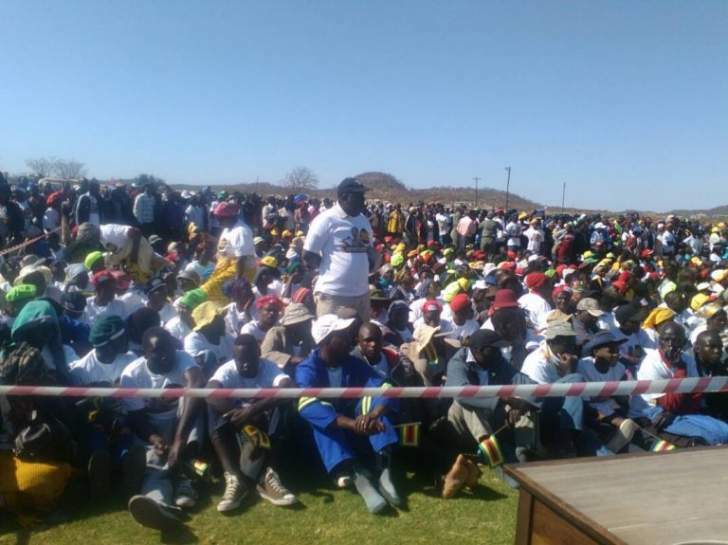 "Matabeleland South is a sparsely populated province but we are proud of the work we put up to assemble such a big crowd," Choeni says. 16:35 President Mugabe has implored the Central Committee to continue guiding youths adding that since the First Lady is not around, he is going to brag to her about the goodness of the event. He concludes his speech by encouraging unity among party members. 16:02 Addressing Chipanga, President Mugabe says he has demonstrated that organs can be united. "We thank you. We thank you very much. 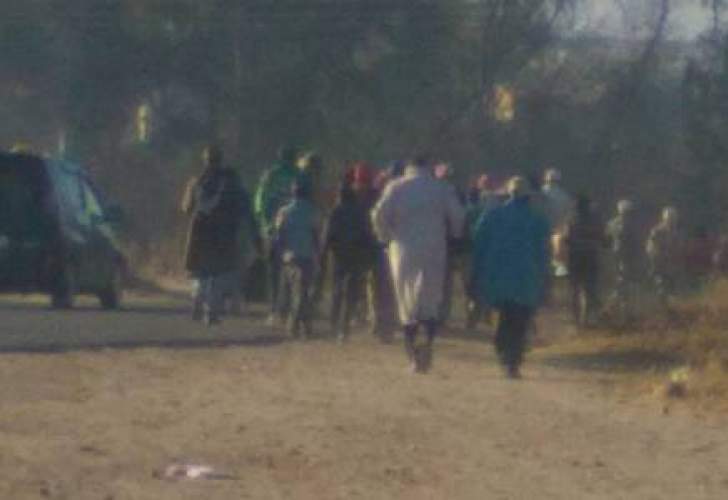 You have done what those who led the youth league before you failed to do"
16:00 His Excellency says following the successful land reform program, MDC-T leader tried to instill fear among Zimbabweans by saying people will starve to death. Some laughed saying we have lost our bread basket status as a country. 15:48 He has encouraged people to break the tradition saying now the people have land. The conditions are not any better there, any longer. "Let us stay here and work on our land," President Mugabe says. 15:43 President Mugabe says the liberation struggle was a struggle of leaders who did not accept disunity. "Here we are, after all what happened, we are back together, we are united. We hope this will not come to an end. 1538: President Mugabe says when the late VP Nkomo left the country with Chikerema and stayed there for a while, the late JZ Moyo approached him encouraging him to reconsider their position. "We agreed with JZ and he told me he was going to leave first. He promised to make arrangements for me to follow. The following week, arrangements were made for me and my wife to leave Harare for Bulawayo, then Botswana. 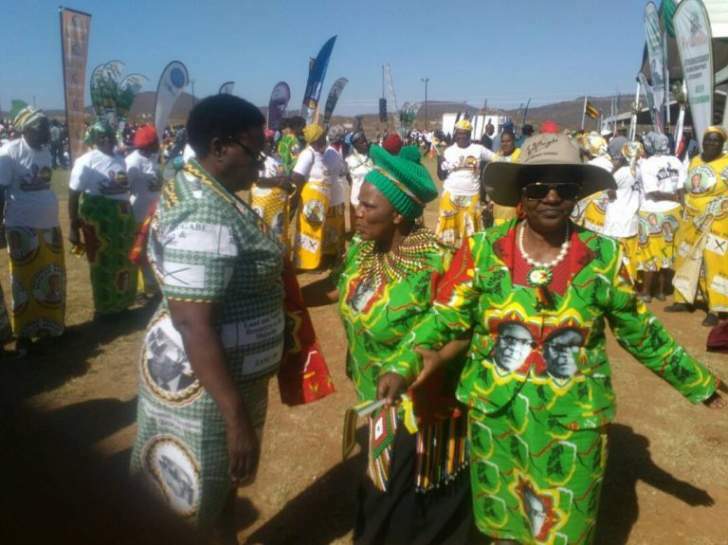 From Bulawayo, we were accompanied by Dumiso Dabengwa and the late Sikwili adding that DD, as Dabengwa is affectionately known, was still opposed to the idea." 15:26 President has spoken glowingly of Zimbabwe's relations with South Africa adding that nomatter what others say or think of Jacob Zuma Zimbabwe continues to relate to him normally. 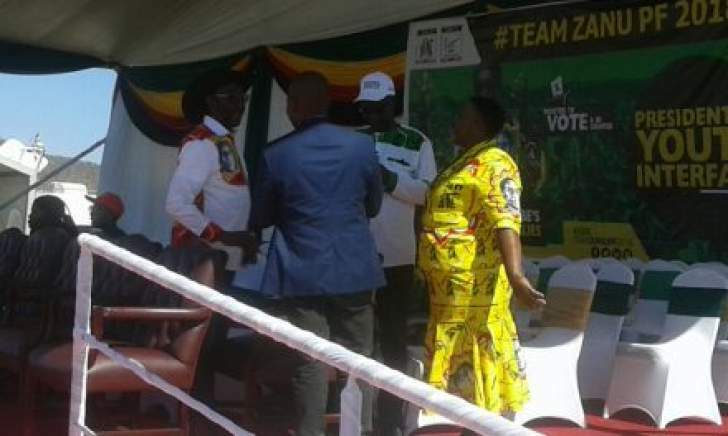 President Mugabe says they started Zapu together with the late Vice President Nkomo, Jason Ziyaphapha Moyo. "We worked so well together and used to get so much support from local business people." 15:15 "Our tears are still fresh. We miss him. We miss him today, we will miss him and we shall miss him forever. I hope you keep him in your prayers so that he continues to rest in peace." 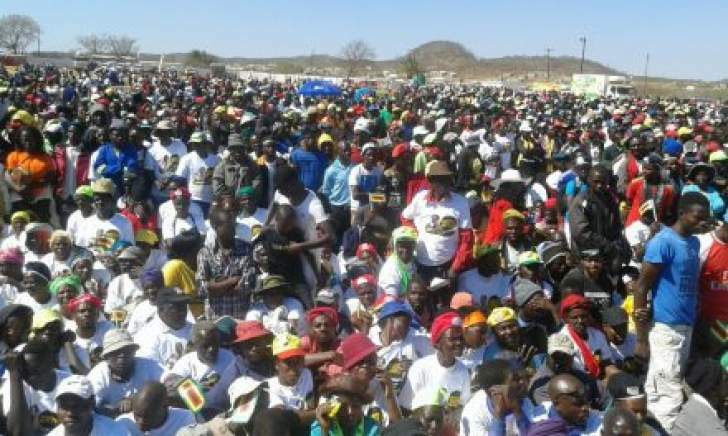 President Mugabe has described Matabeleland South as a great province. 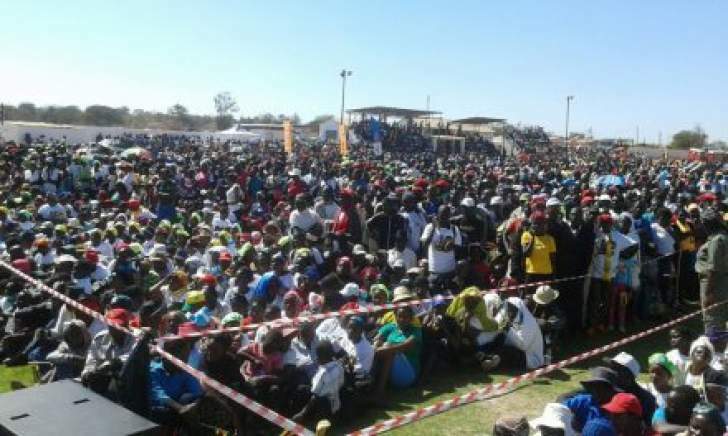 He speaks of his strong connection with Matabeleland South. 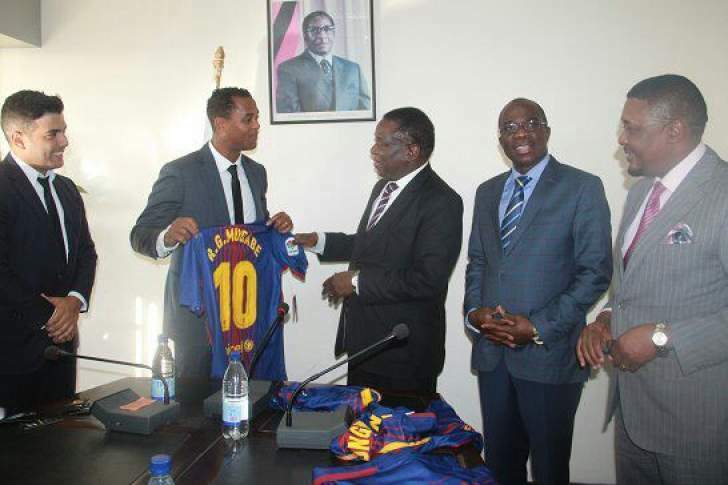 "Is this not the province of Joshua Nkomo? The values he left us with are alive. We still carry on with them in pride." 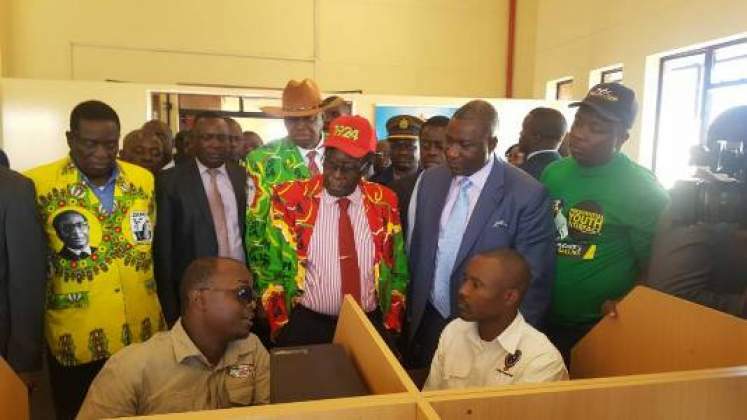 14:58 Chipanga has implored youths to go and register to vote. "Our challenge as youths is that we have a substantial number of youths who are not registered voters. Your victory is not in question President Mugabe. 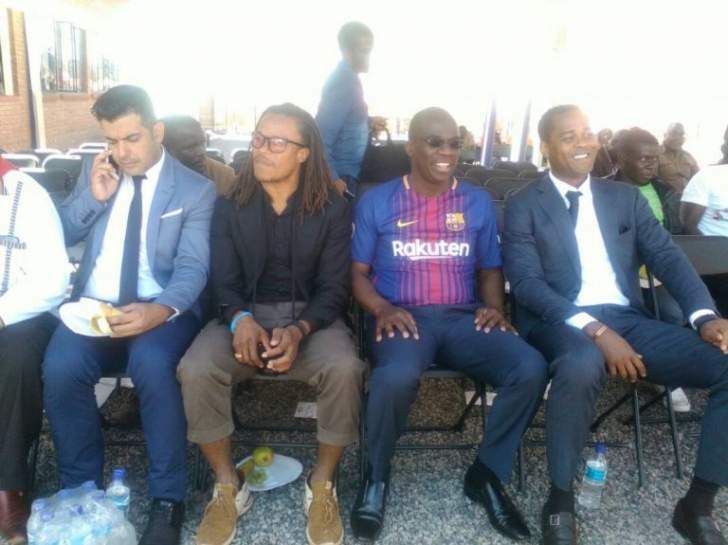 We are solidly behind your candidature and we are not going to support anyone besides you." 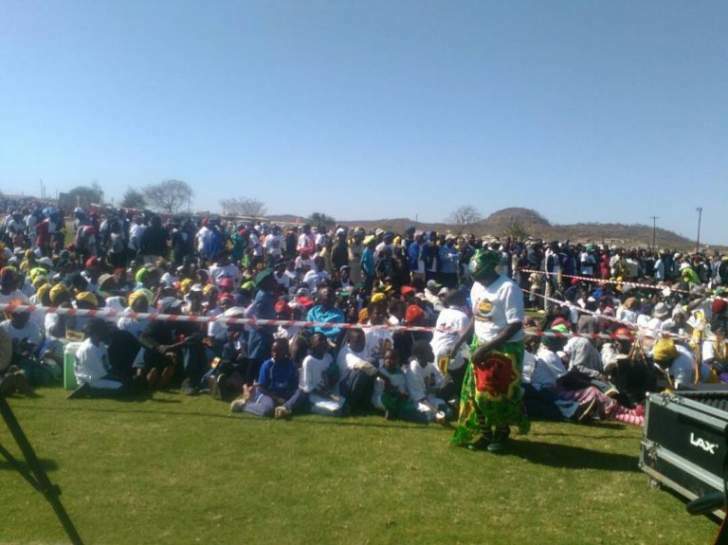 14:47 Matabeleland South youth league chair Dingumuzi Phuthi thanks President Mugabe for listening to their grievances and making efforts to address them. 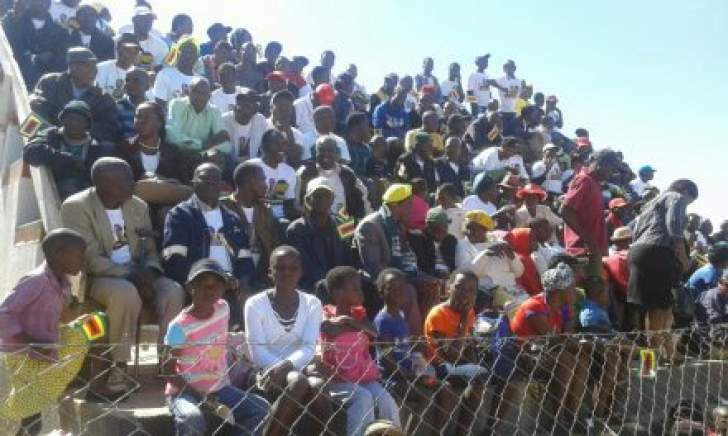 "As Matabeleland South, we are happy to host you for the second time this year after successfully hosting your birthday celebrations in Matobo earlier this year. We gather you were elated with the celebrations." Mugabe arrives at the Gwanda Information Centre for its official opening before heading for Pelandaba for the interface rally. 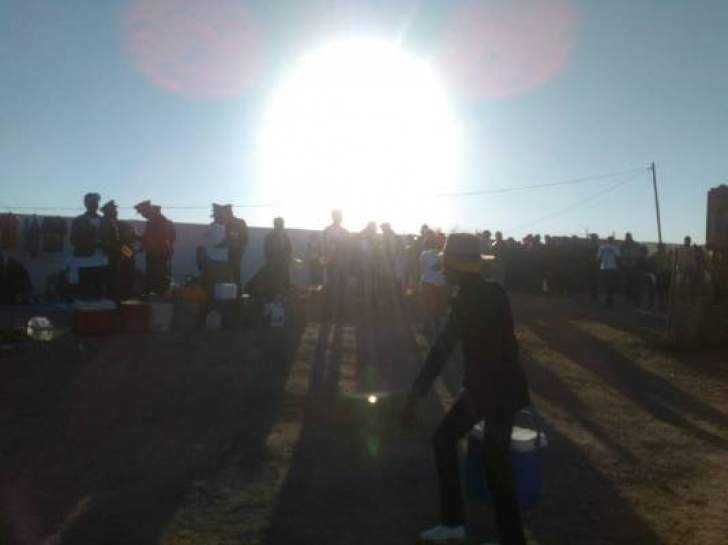 In the revolutionary spirit that has engulfed the province, liberation war songs by Light Machine Gun choir get people dancing along. 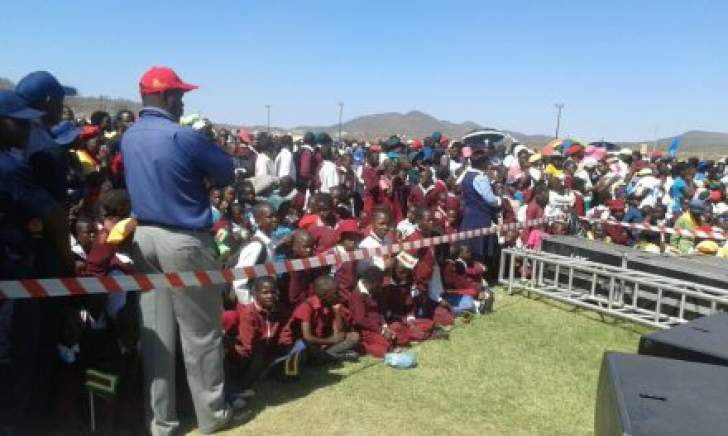 Thousands have come to hear the President speak. 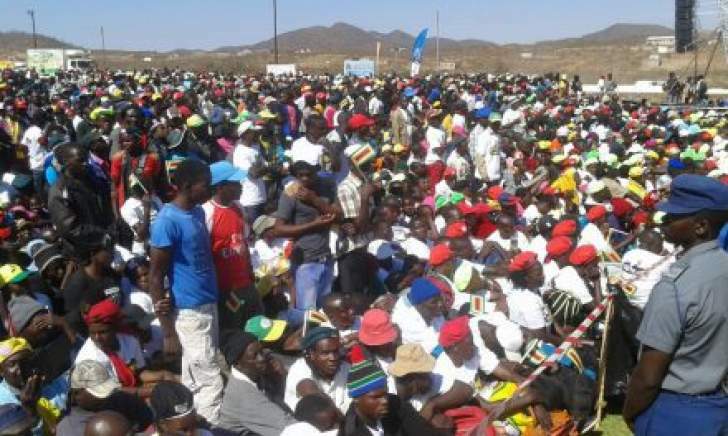 A carnival and electric atmosphere has already gripped the normally sleepy town of Gwanda ahead of the arrival of President Mugabe. 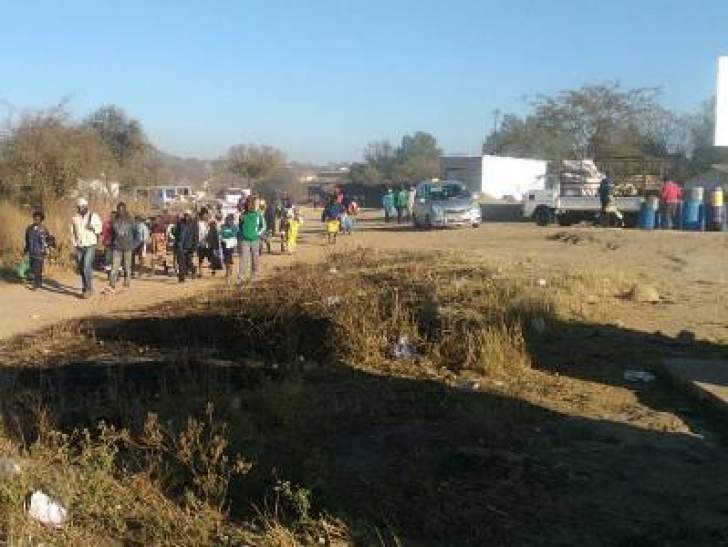 A train from Beitbridge, as well as trucks and buses have been shuttling people to Gwanda since the early hours of the morning and the stadium is expected to be overflowing by mid-day Outside Pelandaba stadium, jovial youths and Zanu PF supporters could be seen dancing and singing revolutionary songs as they await the arrival of their icon. 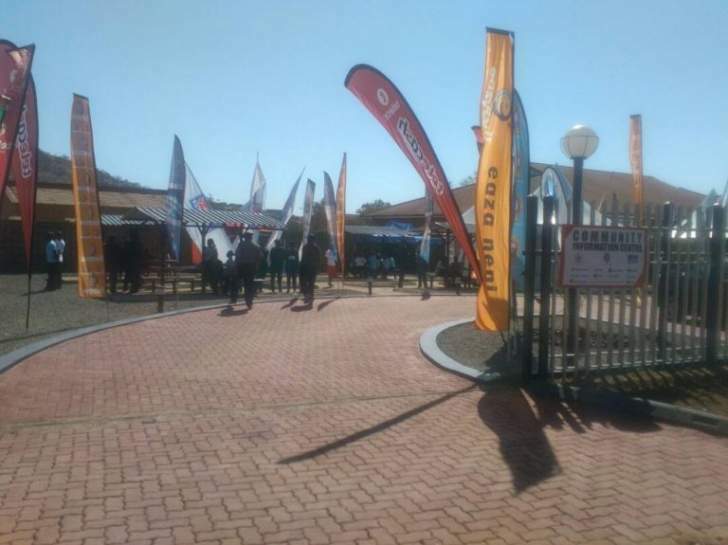 The President is expected to arrive at the ZRP headquarters ground around 11.am before he enters into a briefing with the Zanu PF Matabeleland South provincial leadership. 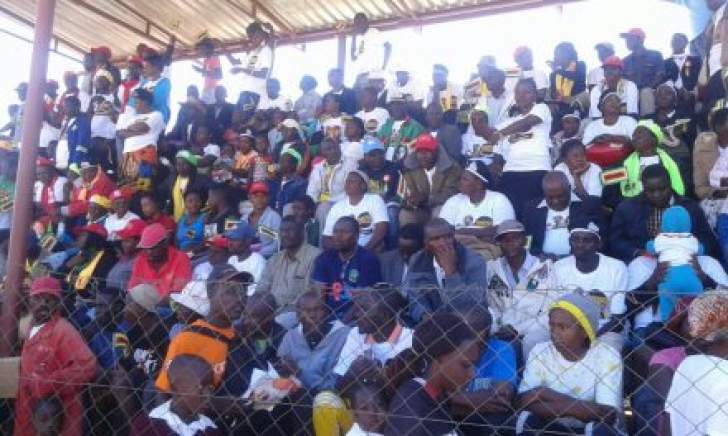 He will later officially open the Gwanda Community Information Centre before addressing thousands of party supporters at Pelandaba Stadium later in the day. 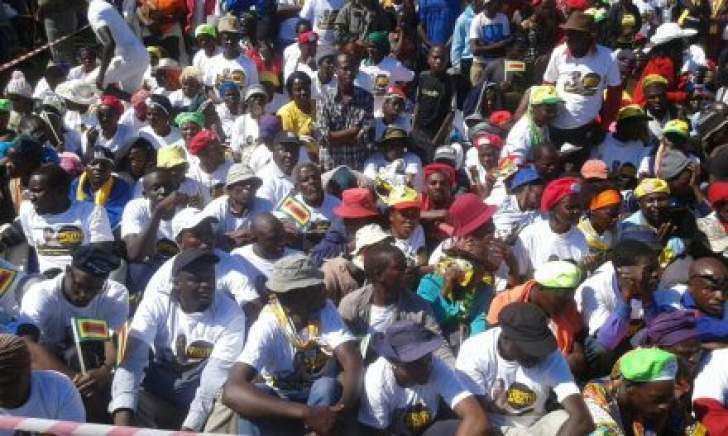 Youths in Matabeleland South expressed optimism that President Mugabe will look into the challenges facing youths in the province which include access to land as well as equipment and mining machinery. The province has 5 gold mining districts.